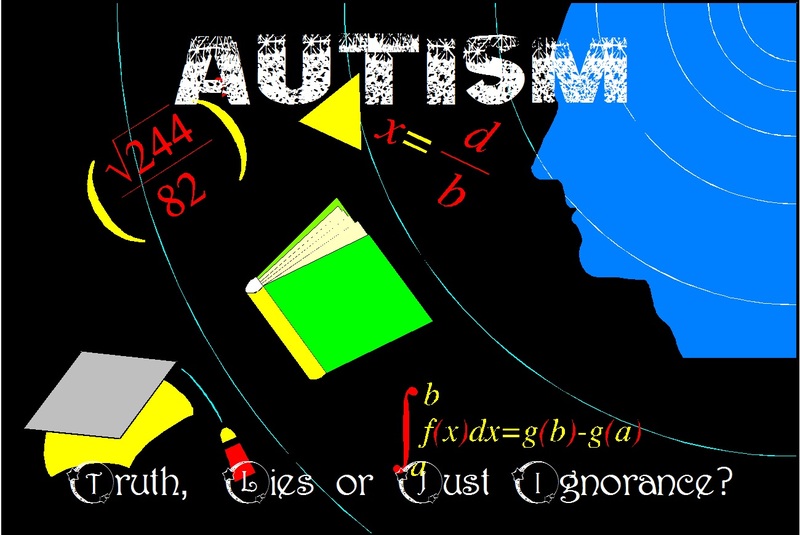 Autism – Truth, Lies or Just Ignorance? Recently I read an article about gene mutations linked to Autism. The article (linked below) claims that 33 genes have been definitely linked to an increased risk of having Autistic Spectrum Disorders, with 107 being loosely linked. 5% of these are believed to be non-inherited gene mutations, which implies that 95% of these genes are inherited (which does not imply parents are responsible!). However, this draws my mind back to when I first started practicing OT (which was not all that long ago, just at the turn of the century). At that time, experts were adamant that Autism was non inherited. I always had a hard time believing this since I worked with families who had two, three and even four siblings on the spectrum, but who was I to argue with the “experts”? In the years since I started working in the field (in my limited capacity), I have been bombarded with countless contradicting ‘evidence’ (is it linked to vaccines, not linked to vaccines, diet related or not, a social disorder or a sensory disorder, and so on). These have left me confused and frustrated, and if I feel that way, how can parents of children on the autistic spectrum possibly feel? What irks me the most is the attitude of researchers or experts who put out these statements, opinions or research articles. Very few of them acknowledge that they don’t truly know, and fewer will ever acknowledge that they were wrong (sorry if I am being overly prejudicial). Without acknowledging that ‘evidence’ is not written in stone, incomplete or even completely ‘wrong’, these bits of ‘knowledge’ about autism stay in the general domain, being passed from parent to parent and even professional to professional, dirtying the water of an already confusing and unclear diagnosis. What can we do about this? I usually like to end my blogs with advice or information about how to help/address issues, but I have to admit, I don’t have the answers. All I can suggest, particularly to parents of children with autistic spectrum disorder, is to just accept the children for who they are, help them build on necessary skills, celebrate their achievements and take all ‘evidence’ with a pinch of salt, because we are still nowhere near the full truth!